A giant of a world, a mammoth of countries, countless people and I were still lucky enough to bump into you. I don't ever want to lose you. 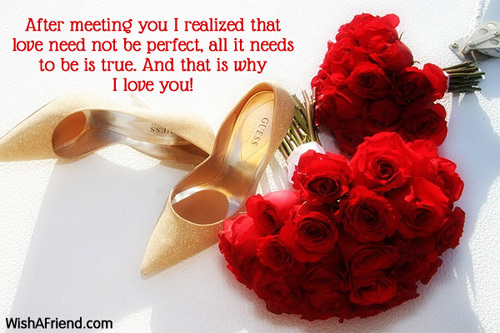 After meeting you I realized that love need not be perfect, all it needs to be is true. And that is why I love you! Come close to me, I will take care of you. 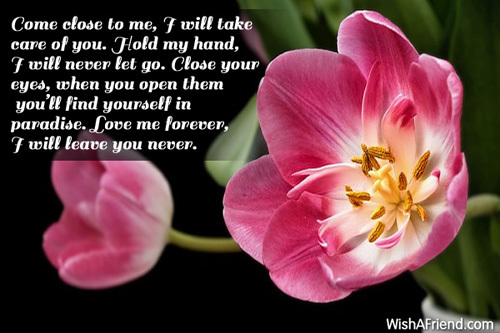 Hold my hand, I will never let go. Close your eyes, when you open them you'll find yourself in paradise. 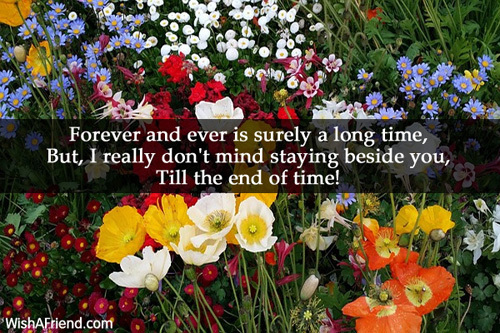 Love me forever, I will leave you never. 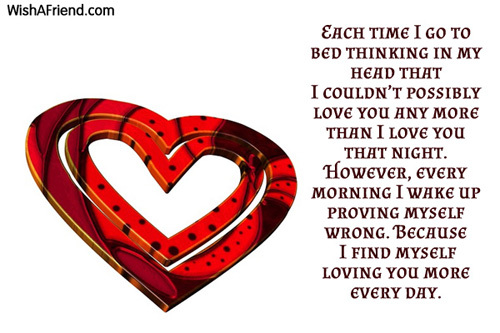 Each time I go to bed thinking in my head that I couldn't possibly love you any more than I love you that night. However, every morning I wake up proving myself wrong. Because I find myself loving you more every day. 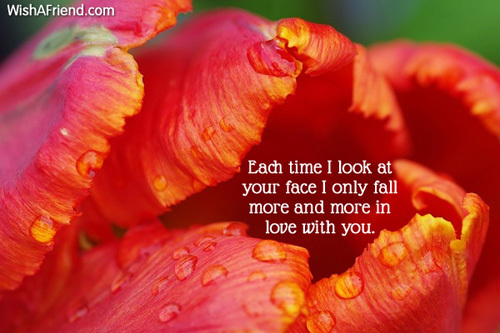 Each time I look at your face I only fall more and more in love with you. 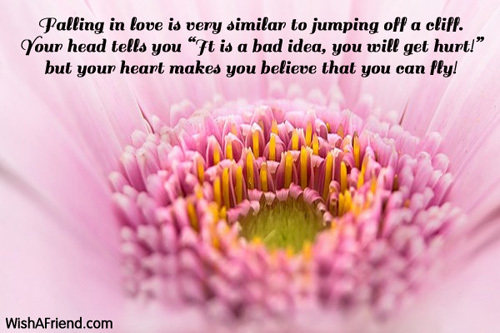 Falling in love is very similar to jumping off a cliff. Your head tells you 'It is a bad idea, you will get hurt!' but your heart makes you believe that you can fly! Finally my eyes have found the one they want to fall asleep looking at every night and wake up to see first in the morning. I love you. Heaven is really close. 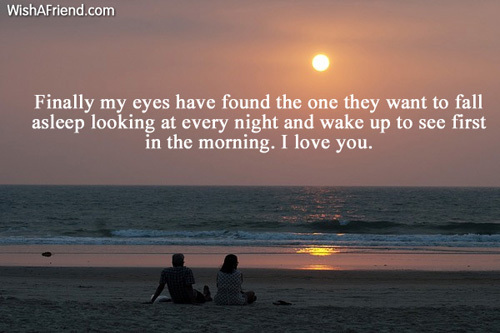 I know this because I can see it everyday in your eyes. 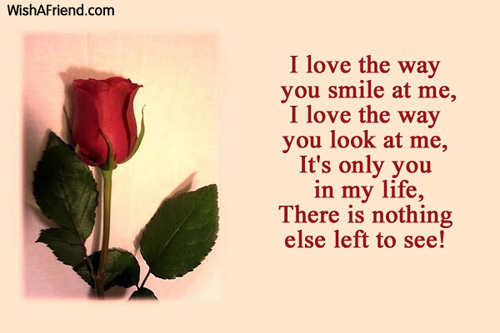 I love you sweetheart. 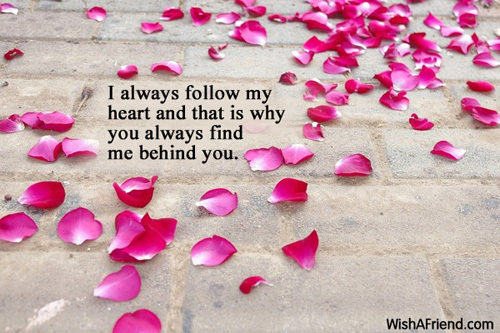 I always follow my heart and that is why you always find me behind you. I always want to be the one holding you and the one making you smile for the rest of my days. I love you baby. 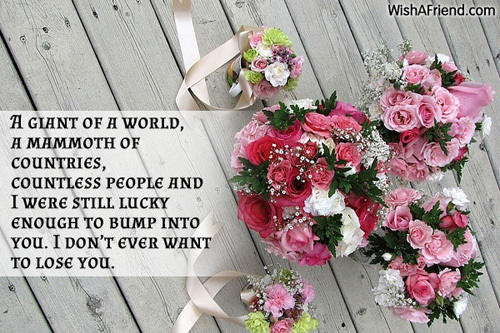 I always will want to see you happy and smiling, irrespective of whether it is with me or with someone else. 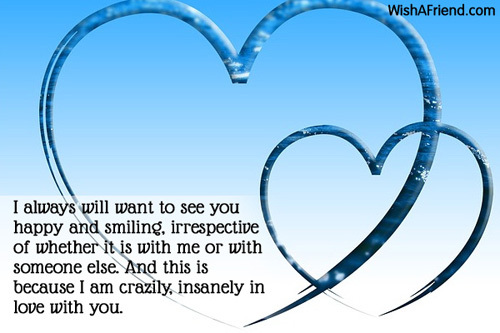 And this is because I am crazily, insanely in love with you. 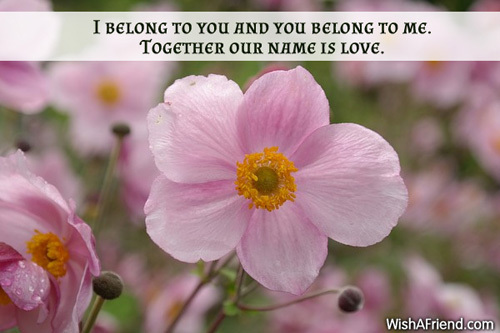 I belong to you and you belong to me. Together our name is love. 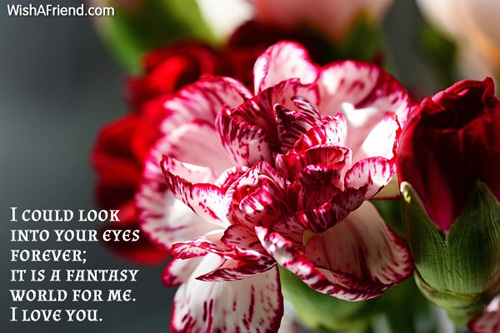 I could look into your eyes forever; it is a fantasy world for me. I love you. 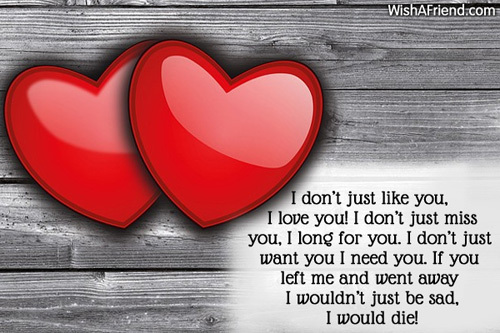 I don't just like you, I love you! I don't just miss you, I long for you. I don't just want you I need you. If you left me and went away I wouldn't just be sad, I would die! I love the way you hold me tight when I am cold. 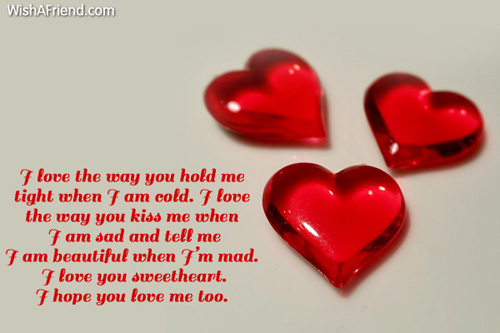 I love the way you kiss me when I am sad and tell me I am beautiful when I'm mad. I love you sweetheart. I hope you love me too. I love the way you hold my hand. 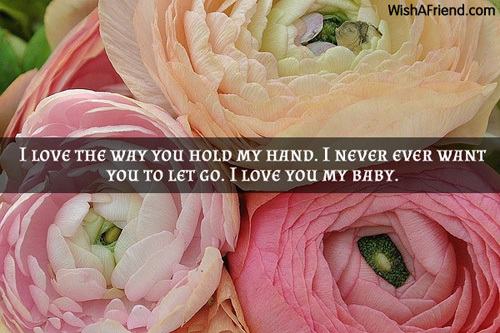 I never ever want you to let go. I love you my baby. There is nothing else left to see!